FAYETTEVILLE, Ark. 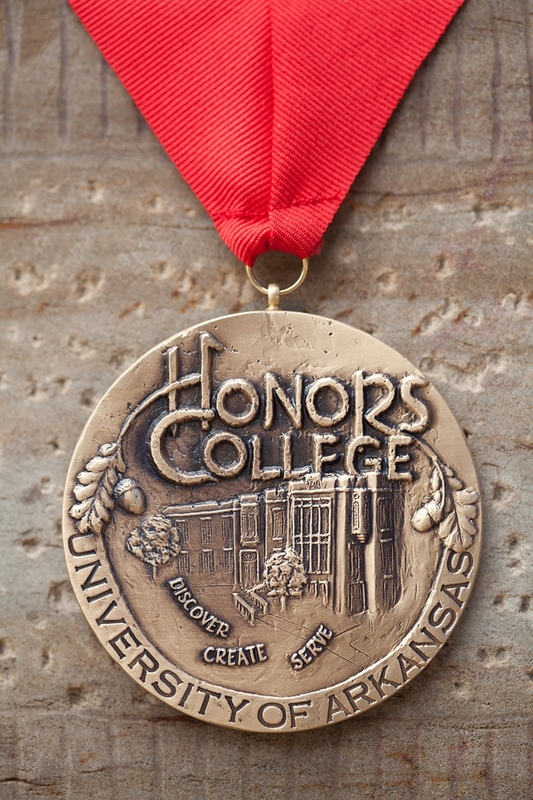 — The University of Arkansas Honors College has selected 88 exceptional high school students, 79 of them Arkansans, to receive prestigious Honors College Fellowships. The group boasts an average grade point average of 4.19 and an average composite ACT score of 33.83, making them one of the most competitive groups of Honors College Fellows to date. The Honors College fellowship of $70,000 largely covers tuition, registration, books, and room and board over four years, granting these students the freedom to pursue original research, study abroad, service learning and other academic interests. The fellowship funds can also be combined with other scholarships and grants, such as the more than $1 million in study abroad and research grants that the Honors College awards to students each year. The members of this distinguished class plan to pursue a diverse range of subjects, from chemistry and biomedical engineering to global marketing, social work and architecture. These new fellows have already accrued a variety of honors during their early years. Benjamin Allen of Bella Vista, for instance, was named to the Arkansas Times All-Stars Team for his extensive work in computer science and coding. Additionally, 25 members of the entering class of fellows were named National Merit Finalists. Many of the Honors College fellows have also contributed to their local communities. Sara Ottinger of Texarkana wrote a doctor-approved book on nutrition and eating disorders in order to educate her peers. Many of the fellows have led clubs and participated in student government in their respective high schools, and several have held leadership positions at Boys State, Girls State and Arkansas Governor’s School. The Honors College Fellowships were made possible by a portion of the Walton Family Charitable Support Foundation’s $300 million gift to the university in 2002. The fellowship application process is rigorous. Students must score at least a 32 on the ACT and have a minimum 3.8 grade point average to apply, and Honors College administrators and faculty review each student application for evidence of intellectual curiosity, leadership potential and community involvement. The selection process also involves a writing test and campus interview for finalists in early March. Including the 2018 recipients, a total of 1,268 students have benefited from the Honors College Fellowship program. Recent fellows include Truman Scholars, Goldwater Scholars, a Schwarzman Scholar and an Olympic pole vaulter. Many alumni are pursuing higher degrees at top schools such as Harvard Law School, Johns Hopkins, Cambridge University, the California Institute of Technology and Tufts University School of Medicine.